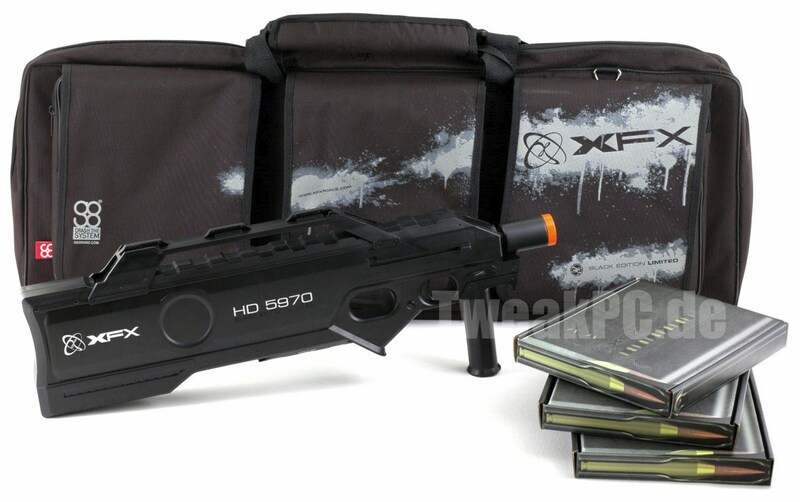 XFX Packs HD 5970 Black Edition 4GB Graphic Card with in a Submachine Gun. 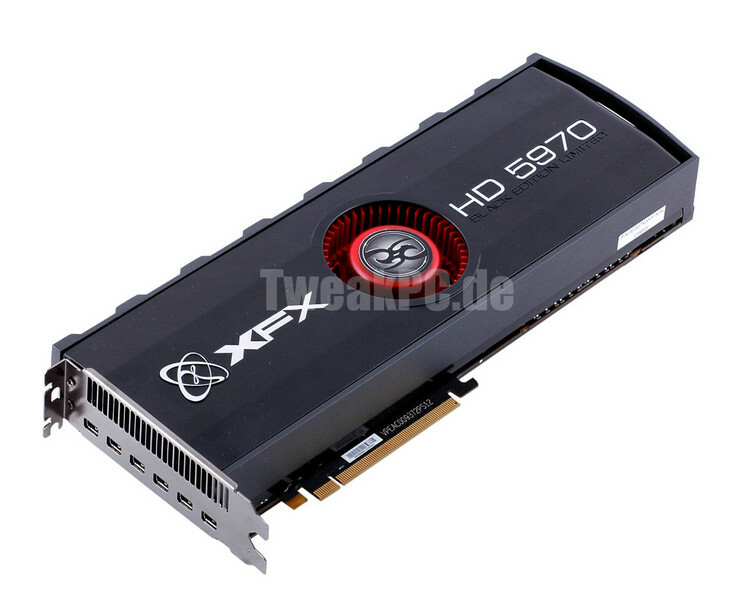 XFX’s upcoming HD 5970 Black Edition card which will feature a massive 4Gb Memory just got pictured and guess what?? 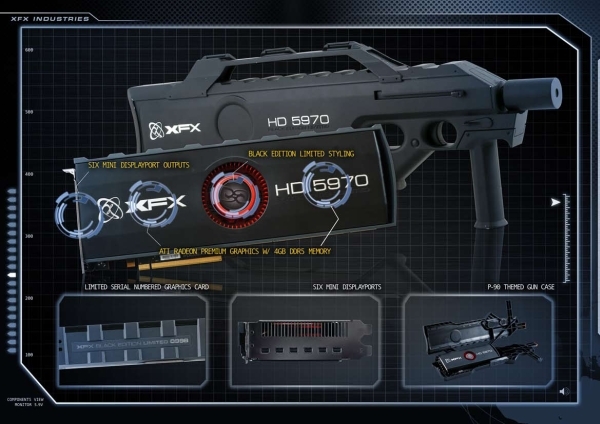 The graphic card is packed with in a Machine Gun along with Three Ammunition Magazine’s which will carry the other essential accessorices like driver’s, booklet’s and Connectivity Cable’s. Talking about the packing, The card comes packed with in a P90 Submachine gun which is delivered in a black carry bag. 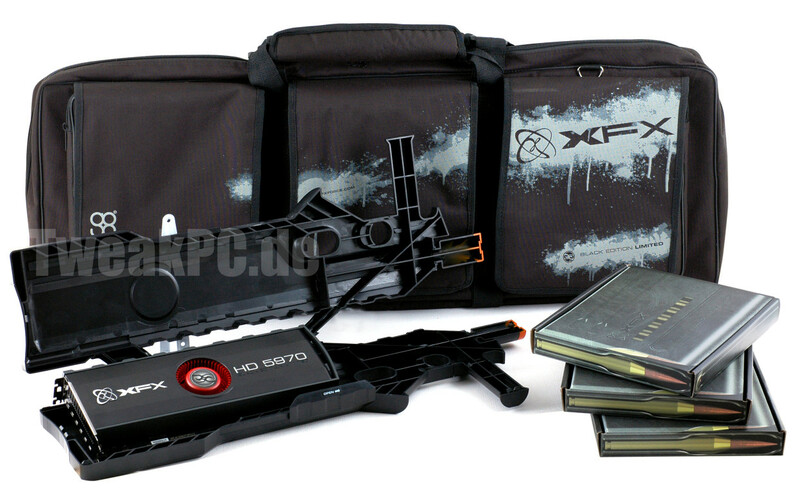 The accessories as said are packed in three magazines which come along the GPU. The card as we now is a HD5970 which means it’s a dual GPU with a HD 5870 at each core running at 850MHz for each GPU and 4800MHz for a total 4GB of GDDR5 memory, 2GB for each GPU. The specs and packaging sure make it do look like one beast of a card. 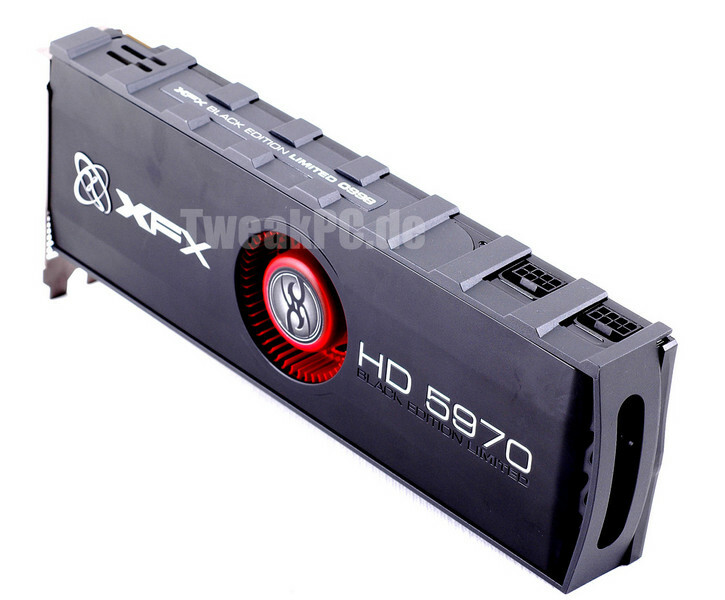 The PCB has also been redesigned by XFX giving it a sober look. XFX made it too generate as less heat as possible and to do say the made each of the core placed as far away from each other, The core’s are cooled by a single fan which is placed in the middle of the card. The card is powered through two 8-pin PCI-e connectors and the connectivity ports include a total of six mini-DP outputs, two mini-DP to DVI, one mini-DP to HDMI and three mini-DP to DisplayPort adapters.